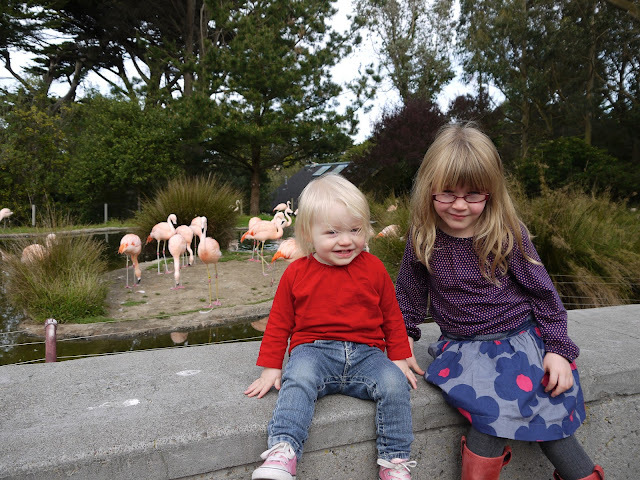 The weekend of Ava's birthday we took the girls to the San Francisco Zoo. Wow - that was over a month ago already. Time sure is flying by! 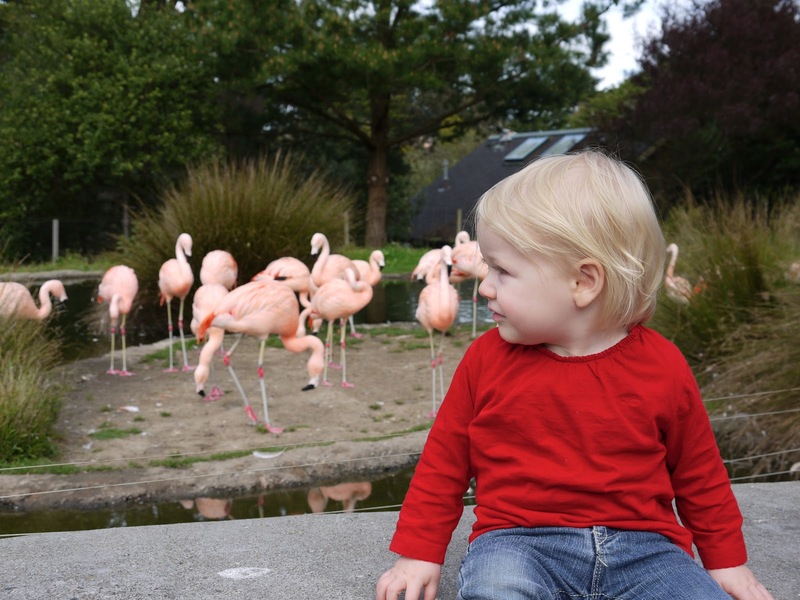 This was Lola's first visit to a zoo. 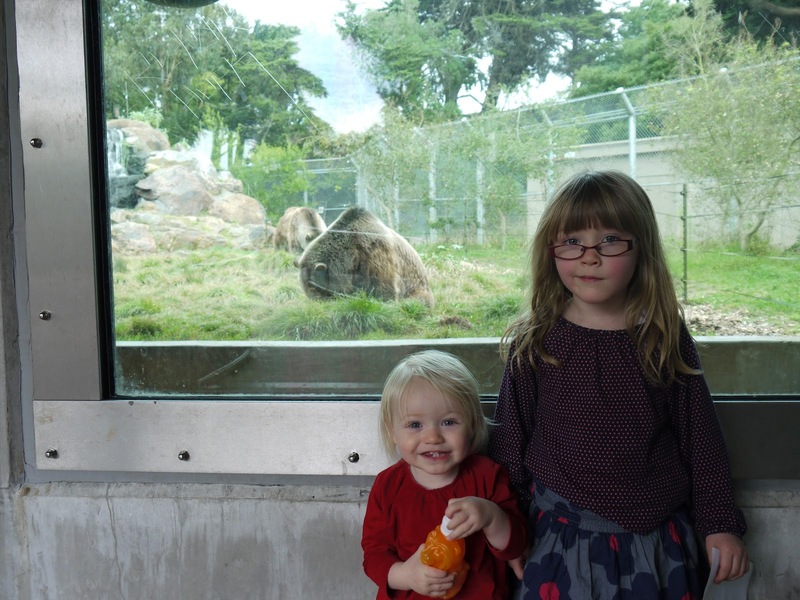 Ava has been to the Adelaide Zoo on quite a few occasions as well as the fantastic Singapore Zoo. Seeing wild animals up close is something I can't imagine Ava ever tiring of so the more zoo trips the better! San Francisco Zoo is much smaller than I had expected and easy for small children to walk around. In fact, Lola spent the majority of our time at the zoo on foot, leaving me to look like a crazy lady pushing around an empty stroller! We arrived at the zoo a little later than planned but still had most of the afternoon to explore Bear Country, Cat Kingdom, Outback Trail, Primate Discovery Center, African Region and South America - the zoo region, not the continent! 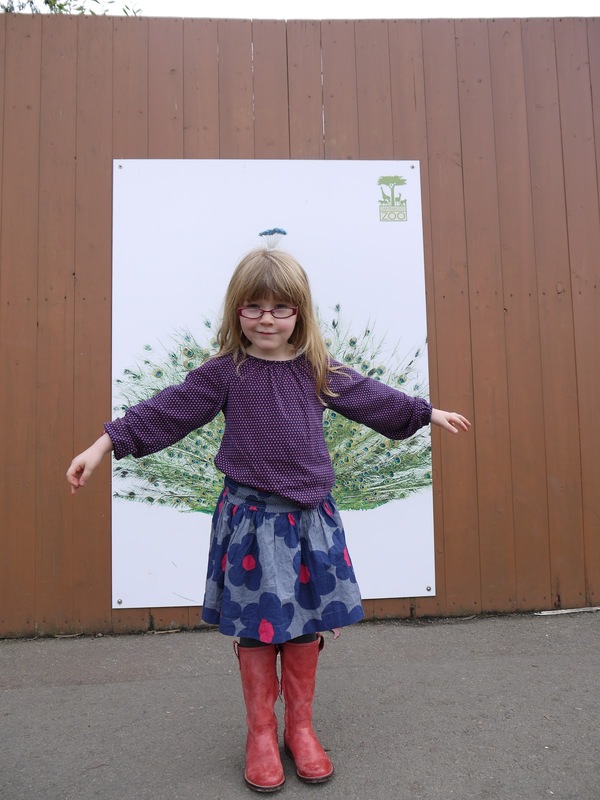 Unfortunately we ran out of time before we could visit the Children's Zoo with its Family Farm, Meerkat & Prairie Dog exhibit and Insect Zoo. Luckily Ava didn't spot this on the map that she toted around (and consulted constantly) so she wasn't aware that we had missed it. A little steam train, the Little Puffer, chuffs its way through Bear Country and South America. I had hoped to take the girls for a ride however unfortunately for us the train wasn't running on the day of our visit. I think this may be a seasonal thing due it being winter. 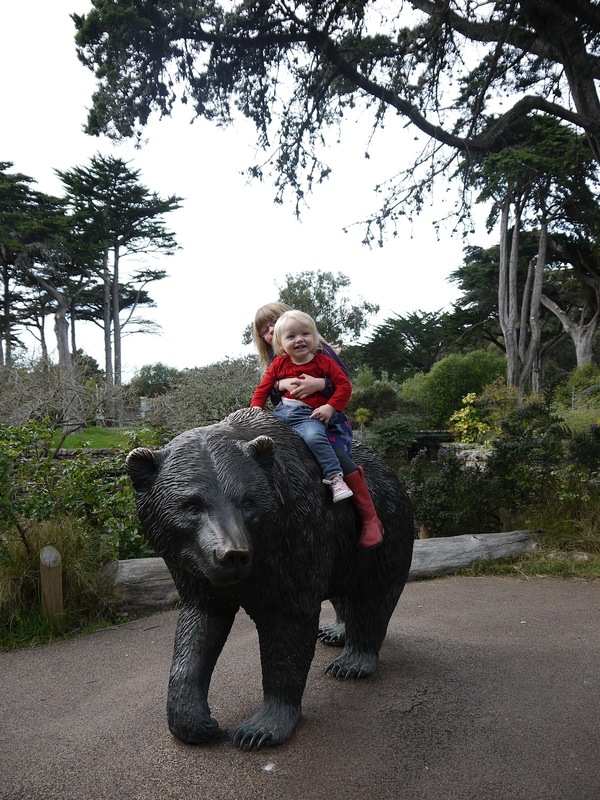 Another visit to San Francisco Zoo is sure to be on the cards so we can ride the Little Puffer and explore the Children's Zoo next time. Oh, and the carousel that we somehow missed. I have a feeling it wasn't running the day of our visit either. 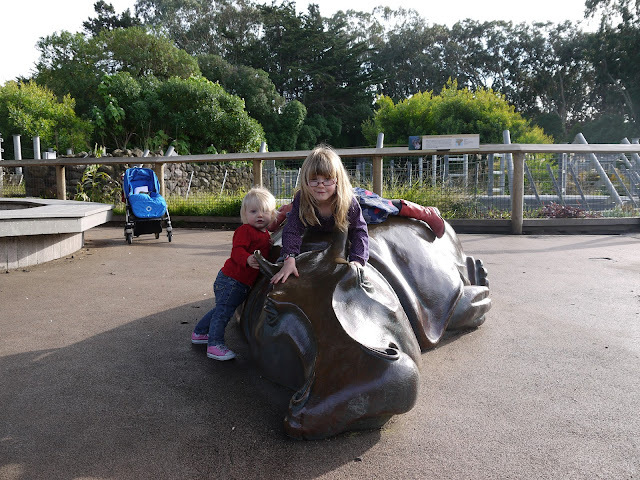 Ava and Lola play on a hippo statue. No doing this with a real hippo! 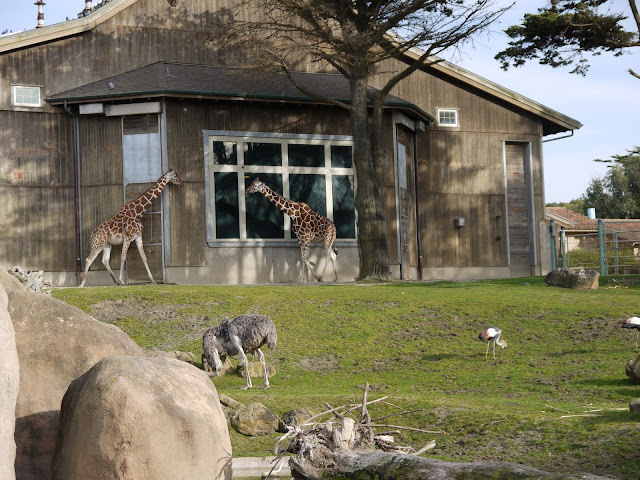 Ava's favourite part of our visit to the zoo was watching the giraffes eat their dinner at the end of the day. She had been excited about seeing giraffes and was really hoping that she would get to feed one. I had previously told her about my experience feeding carrots to giraffes at Taronga Zoo in Sydney and she had hoped that she could do the same. Unfortunately this wasn't so, however we did get to see the giraffes up close while they ate their dinner in their incredibly tall barn. Ava was pretty happy with this. Lola was excited to see all the animals - real and in statue form! 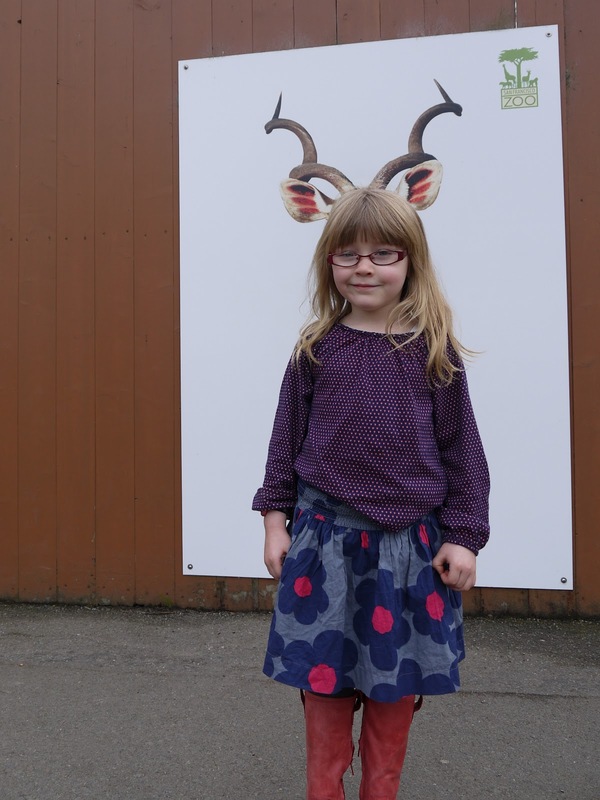 She seemed quite smitten with the big cats and even managed to say both "tiger" and "lion" quite clearly. The grizzly bears were also a big hit with the kids and my personal favourite. 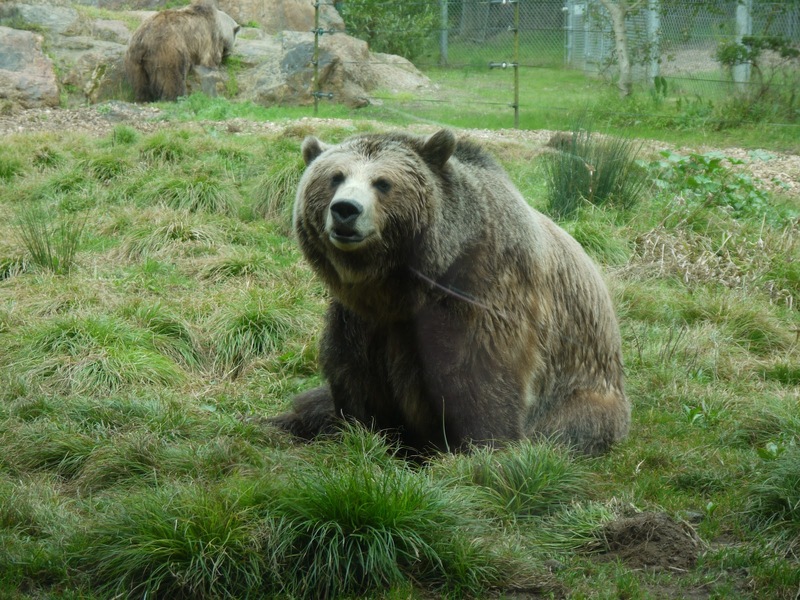 No riding this grizzly bear please! 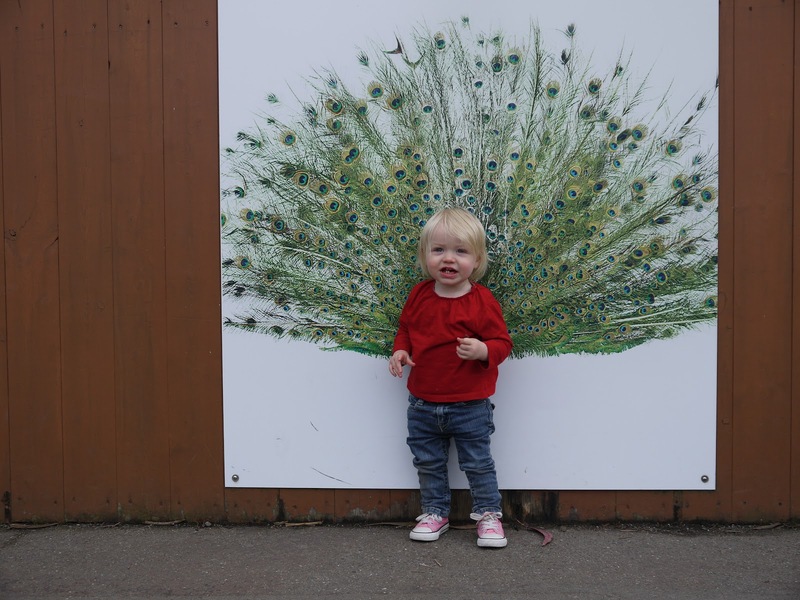 All around the zoo there are pictures to stand in front of for fun photos. As usual Ava enjoyed posing for photos. As usual Lola tried to copy her big sister but got bored of posing pretty quickly and kept walking toward the camera - a very common occurrence at the moment. 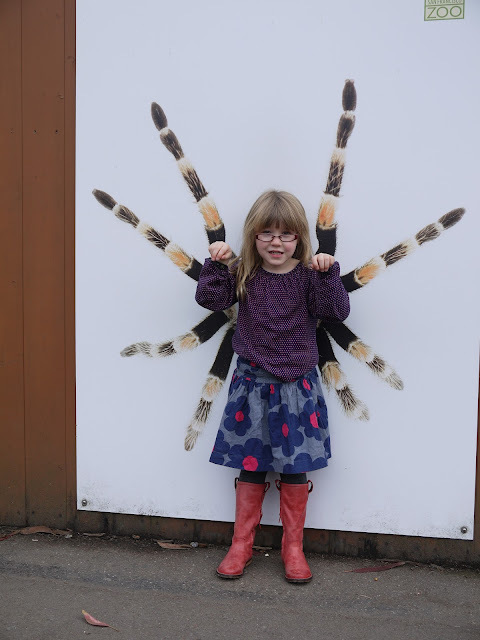 ... and a scary spider! We had a lovely day at San Francisco Zoo and look forward to going back another time.